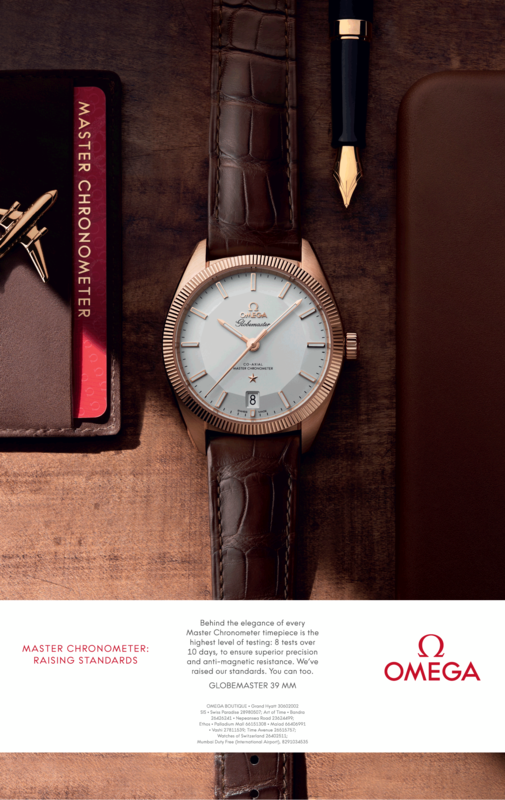 Omega Watches Master Chronometer Raising Standards Ad. This Advertisement has been released in Times of India Newspaper, Mumbai Edition on 10-10-2018. The Copy of this Omega advertisement says “Behind the elegance of every Master Chronometer timepiece is the highest level of testing: 8 tests over 10 days, to ensure superior precision and anti-magnetic resistance. We’ve raised our standards. You can too. GLOBEMASTER 39 MM”.